Massachusetts Sen. Elizabeth Warren speaks to reporters outside her home in Cambridge, Mass., on Dec. 31, after announcing plans to explore a campaign for the 2020 Democratic presidential nomination. 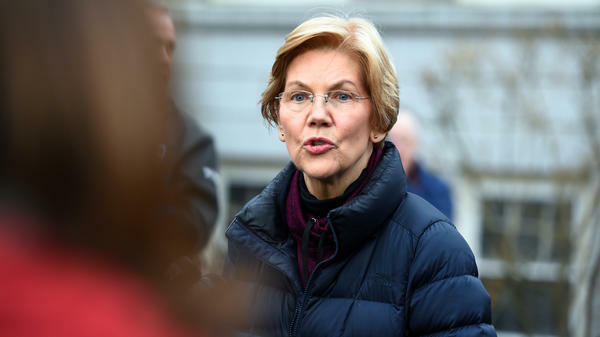 Massachusetts Sen. Elizabeth Warren essentially kicked off her 2020 presidential campaign on Monday, announcing an exploratory committee — a formal step toward seeking the Democratic nomination for president in 2020 — along with outlining a pitch to voters. In a highly produced 4 1/2 minute video emailed to supporters on New Year's Eve, Warren made a populist political appeal, recounting her own middle class background and her work on consumer financial protections. 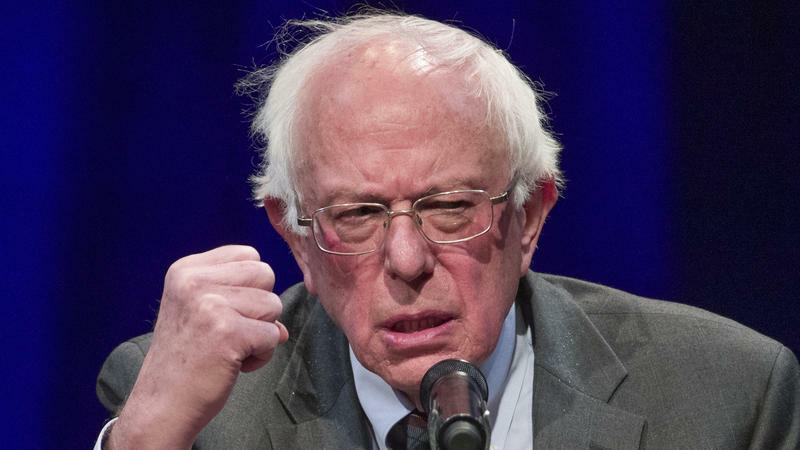 Warren insisted the middle class is "under attack" from corporations and the right, including President Trump, who she vowed can be defeated in 2020. "How did we get here?" she asked rhetorically. "Billionaires and big corporations decided they wanted more of the pie. And they enlisted politicians to cut them a fatter slice." Warren's possible strength in what will be a crowded contest includes her track record of speaking to economic concerns. She has also consistently shown that she's willing to fight with President Trump. But she is a polarizing figure who may struggle to craft her own narrative, in part, because she has become a foe for conservatives, who portray her as a liberal elitist by pointing to her background as a Harvard law professor. Prior to 2012, when she became the first woman elected to the Senate from Massachusetts, Warren had never held elected office. Still, the 69-year-old senator has been a liberal icon since even before she was first elected. A professor turned consumer advocate, she was instrumental in the establishment of the Consumer Financial Protection Bureau, a watchdog agency created in the aftermath of the 2008 financial crisis. But her outspoken criticism of the banking industry has also earned her the ire of some conservatives. During her years as a senator, Warren is perhaps best known for sharply grilling financial executives. In 2016, she famously told the then-CEO of Wells Fargo he "should resign" for leading the bank during a time when it created fake accounts. Speculation that Warren might run for president began almost as soon as she won her Senate seat in 2012. In 2016, many progressive groups urged her to run for president and her hometown newspaper, the Boston Globe, even ran an editorial arguing that "Democrats need Elizabeth Warren's voice in 2016 presidential race." Warren passed up the opportunity, but four years later she is now ready — although she will face a much larger field, including possibly other progressive favorites like Vermont Sen. Bernie Sanders and several other fellow senators likely to join the fray. 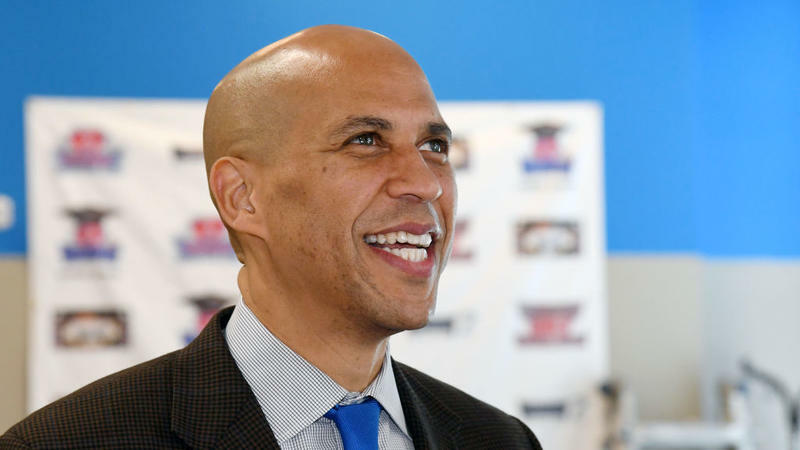 Some two dozen Democrats are expected to run for president this cycle, including a number of women and candidates of color. It's not clear those same progressive activists who had encouraged Warren to run a few years ago will back her this time with a wider field to choose from. "Senator Elizabeth Warren's formal entrance into the 2020 race for President today helps launch what we believe will be a vibrant discussion of bold, inclusive populist ideas in the Democratic Primary, and we look forward to the wide array of progressive candidates that we expect to join her in it in the year ahead," said Charles Chamberlain, executive director of Democracy for America, in a statement. In 2014 and 2015, DFA worked with Moveon.org to encourage Warren to run for president. Warren's entrance into the contest to try and challenge President Trump in 2020 is a development he's likely to relish. Trump has frequently delighted in derisively calling Warren "Pocahontas," a reference to her 2012 campaign against Republican Scott Brown when he claimed she had misrepresented her family's Cherokee heritage for professional gain. In October 2018 — one of the clearest signs yet she was readying for a national campaign — Warren released results of a DNA test showing that she did have Native American ancestry going back several generations. The Cherokee Nation, however, called the DNA testing "useless." The incident was intended to quiet critics, but quickly became a cultural faux pas of its own. Trump's taunting did not end. And even some Democrats accused Warren of misunderstanding the complexity of race and identity. Warren appears to target voters of varied cultural, geographic and economic backgrounds with an anti-corporate, pro-worker message in her initial campaign pitch. One of the biggest criticisms of Hillary Clinton's failed 2016 bid was a focus on appealing to specific demographic groups, particularly marginalized groups, alienating white, working-class voters who helped elect Trump. In her launch video, Warren touched on her working-class childhood in Oklahoma. She discusses how her mother got a minimum wage job at Sears when her father got sick, in order to keep the family in their house. Massachusetts Senator Elizabeth Warren is among the first out of the gate with an eye towards 2020. Warren announced an exploratory bid for president and laid out a populist campaign message focused on economics. ELIZABETH WARREN: I never thought I would run for anything, ever, in my life. But America's middle class is getting hollowed out and opportunity for too many of our young people is shrinking. So I'm in this fight all the way. CORNISH: She's expected to be one of the most high-profile Democrats in a large field of primary candidates vying to take on President Trump. NPR political correspondent Asma Khalid joins us from Cambridge, Mass. Warren spoke there this afternoon. And, Asma, this is not exactly a surprise, right? People have been talking about Warren running. So what did she say about why she wants to run? ASMA KHALID, BYLINE: Well, you're right. There wasn't really much of a surprise here. Her message really has essentially been about the economy and economic fairness. She feels the middle class is under attack largely because of big corporations. And, you know, this is a message that she has been laser-focused on for years, even when she was a law professor. And she really became, I would say, a liberal icon even before she entered the Senate, when she helped launch the Consumer Financial Protection Bureau. That was in the wake of the 2008 recession. And during the Senate, this is also again something she would come back to. She's probably best-known for how aggressively she would grill bank executives. CORNISH: What are some of her biggest challenges? KHALID: So, you know, Audie, she's seen as a polarizing figure, I would say, even by some Democrats. And for conservatives, you know, they have this image that they've created of her as a Harvard elitist. And a lot of why she has these enemies, I would say, particularly on the conservative side, is because, again, of her work to create the Consumer Financial Protection Bureau. This is one of her achievements that she's most proud of. You know, she talks about this and has talked about this many times to her supporters. But it's something that people see as rather polarizing. Another issue is that she has limited foreign policy experience. But, Audie, I want to point out, that's really a challenge for a lot of the Democrats interested in running this year. So I'm not clear that that'll actually hurt her. CORNISH: There were progressive activists who wanted her to run in 2016. Did she talk about why she waited until now? KHALID: There was really a big push for her to enter the race ahead of the 2016 election. Her hometown paper, The Boston Globe, even ran this editorial with a headline saying, "Democrats Need Elizabeth Warren's Voice In 2016 Presidential Race." Now the paper is suggesting that maybe she missed her moment. And, you know, also even, I would say, among her constituents, there's really mixed feelings. 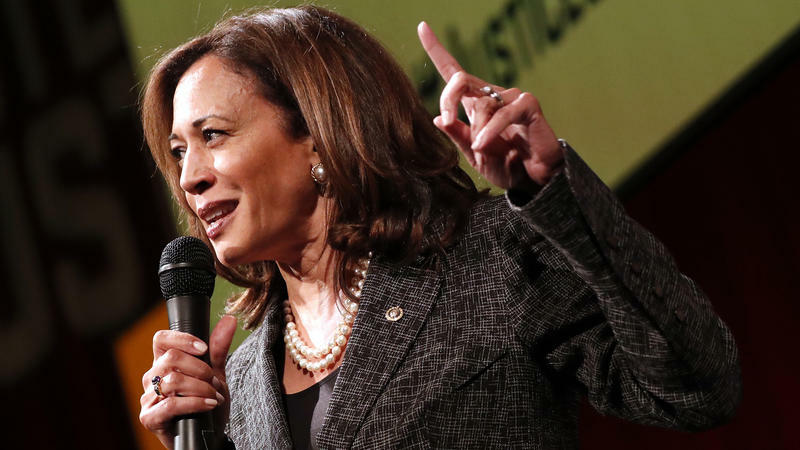 People will say, I like her as my senator but I don't think she should run for president. And polling shows this, too. You know, one of the big questions also is whether there will be support for her among these really progressive left groups. Democracy for America, for example, had encouraged her to run in 2014, 2015. This time around, they tell me, there's so many good progressives that they're not even sure that they will endorse in the primaries. This is really an open contest. So the question for Senator Warren is whether she'll have the support of the very progressives who had encouraged her to run before. CORNISH: In the meantime, she's sparred with President Trump a lot. Tell us more about the dynamic as she looks to take him on in a campaign. KHALID: Well, I would say let's start first, probably, with the infamous nickname that President Trump has for her. He calls her Pocahontas. And this goes back to accusations from her first run for the Senate in 2012. At that time, her Republican opponent had claimed that she misrepresented her ancestry. Warren has long said that she really does have these Native American roots, and she took a DNA test to essentially quell the criticism, but it essentially backfired a lot for her. You know, I think one thing that we should point out is that she's not been afraid to go after Trump. But today, Audie, in her video to supporters, and when she talked to reporters, she didn't really criticize him much. She tried to hone in on this message of economic stability and point out that this is about the middle class, it's not really just about him. CORNISH: That's NPR's Asma Khalid. Thank you. KHALID: You're welcome. Transcript provided by NPR, Copyright NPR. Beto O'Rourke Says He's Excited At Prospect Of A Presidential Run. He'll Decide This Month. NEW YORK CITY — Beto O'Rourke said Tuesday he will decide whether to run for president by the end of the month. He made the comment during an interview with media mogul Oprah Winfrey, who pressed him on his long-awaited decision — and whether he's given himself a deadline.